Hello to you here on Audiko.net! 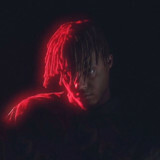 Simply download a free Juice WRLD ringtones for your iPhone or mobile. Elect your favorite line from your favorite ballad - [FREE] Juice WRLD Type Beat 2018 - Scared | Free Type Beat |, Juice WRLD - Armed & Dangerous (Impozible Remix), Future & Juice WRLD - Fine China, or any other track. You are free to download your tune both in the MP3 and m4a formats, played by both mobile phones and iPhones. Just select a track, and choose free Juice WRLD ringtones download option.